#2 I absolutely agree 100% with you on this. I will try to convince her to let me record it for you! Kids are being given too much homework. In my practice, working with multisensory learners who struggle with traditional teaching methods, I see clearly the emotional and psychological impact of the pressures children face at school in today’s world. Too much homework is one of the main contributors. France is thinking of doing away with homework. In the U. S., there are many classrooms that are experimenting with ‘flipped learning’ – homework at school and lesson delivery at home via technology. With younger children, it is imperative that school work be fun – goes against the grain for many parents. Young children are naturally curious and love to learn – to them play and learning are inseparable. It is we adults and the education system we have created based on a factory concept that takes the fun, play and joy out of learning and turns it into a dry, dull and laborious endeavor. I say – teach your kids how to love life and enjoy learning. Thanks for your insight, Kimberley. My daughter spent K-3 in a Montessori classroom, and one of the many things I loved about it was the no homework policy. That, combined with the innovative methods they have of teaching, instilled in her an absolute love of learning. While we’ve been additionally blessed to have had teacher after teacher in the public school setting that doesn’t put a big emphasis on homework, I truly think the reason she loves school so much and faces the homework she does have with a positive attitude is that she learned at a young age that learning is fun. 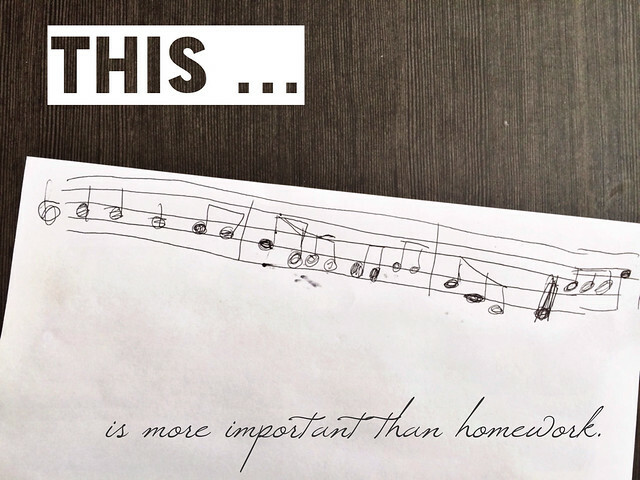 I’d much prefer that to the endless stream of one-size-fits-all lessons, busy work, and worksheets.